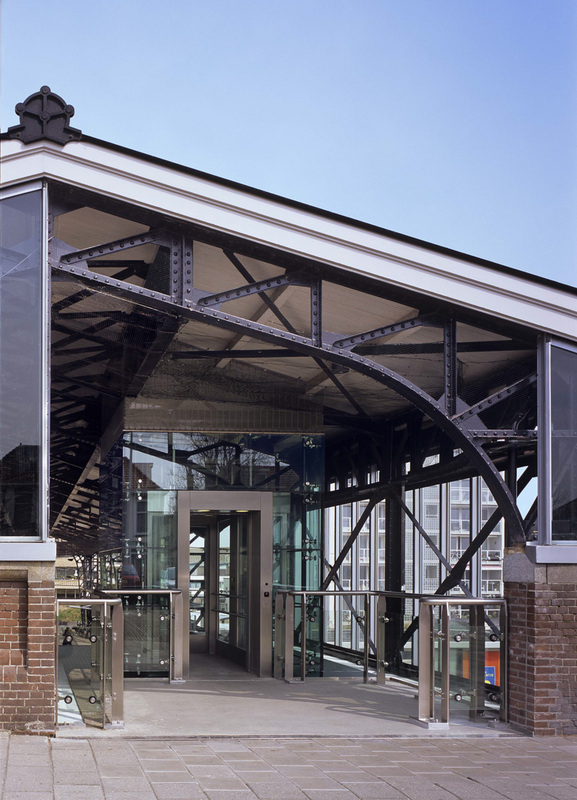 Our client Prorail is working to improve the accessibility of all stations, providing lifts, ramps and automatic doors to facilitate the disabled people and the broader public. 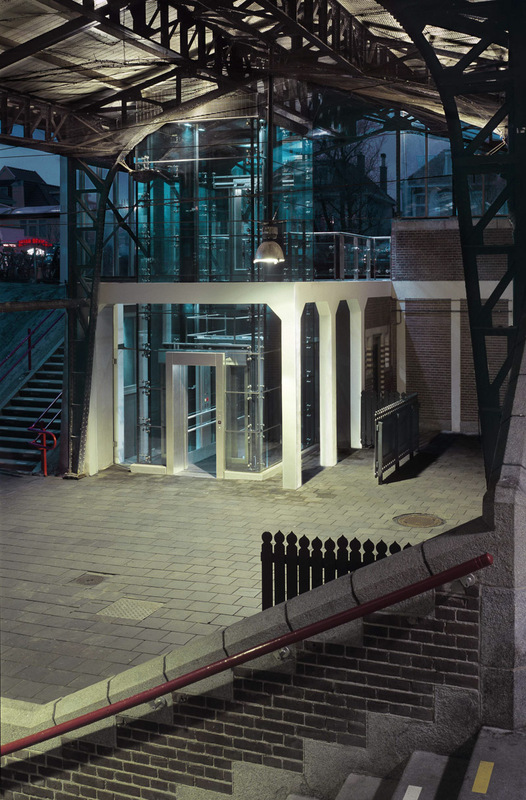 In Zandvoort station this led to the design of a new side entrance to the station with a lift, allowing for a 24 hr use. The station “Zandvoort Bad” is a monumental building from 1909, designed by architect Margadant. The challenge we took om here is to design something of this time, without creating a sharp dissonant with the surroundings. The coherence is reached through clear positioning of the lift shaft, the applied scale and color scheme. 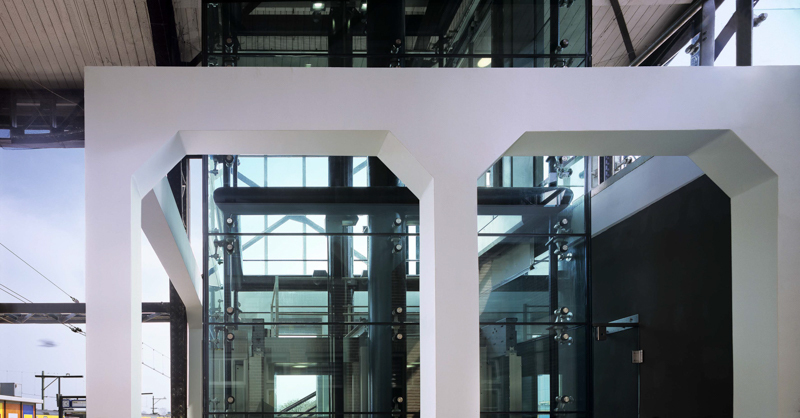 The new glass lift shaft is embraced by a white concrete frame, belonging to the old structure. Contrast is shown in the sheer transparency of the structure. The inside structural steel members are aligned with the outside concrete structure, resulting in a greater transparency. Various elements were taken away to create room for the new entrance. 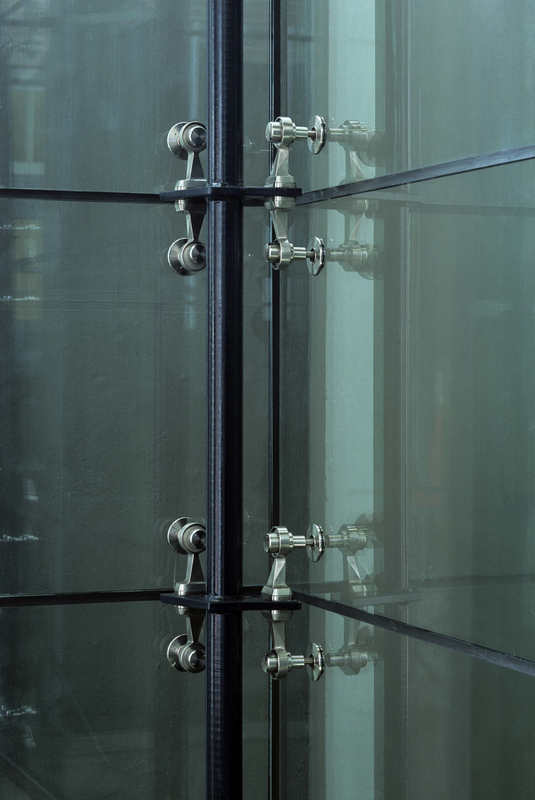 Traditional wired glass was replaced with clear glass, for improved social security. The new shaft stands autonomous in the void. The glass paneling is seemingly carrying itself, but hat is not true, they are carried by stainless steel supports. “New” is literally standing through “old”. The new is present and enriches the old. It is in this tension that the project radiates out more than the sum of its parts.